A still from ‘India’s Wandering Lions’. The camera pans Gujarat’s Gir sanctuary, zooming in on the Asiatic lion. 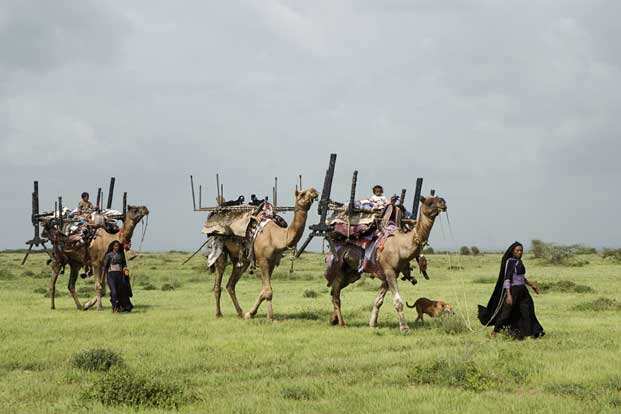 Their numbers growing, cramped for space, they have been ambling out of the reserve and into nearby villages, preying on cattle. Thus begins Praveen Singh’s and Martin Dohrn’s documentary, India’s Wandering Lions. 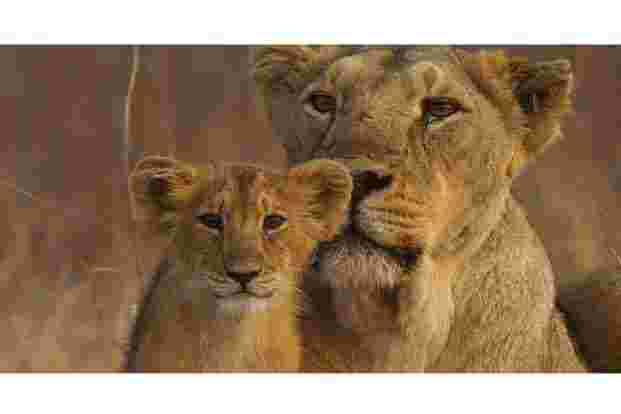 A voice-over tells you that what might look like a predator problem is actually a bizarre relationship of cohabitation that the lions have forged with the people of the nearest village, a mere 20km away. India’s Wandering Lions will be screened at the four-day 3rd Woodpecker International Film Festival And Forum in New Delhi next week. The festival, which promotes “issue-based cinema", will screen 67 films on 13 issues—the environment will take centre stage. “More and more film-makers are focusing on environment and livelihood issues, so we thought let’s give it more mileage," says festival director Narender Yadav. He recounts an example from Pilibhit, where a tiger family with cubs stayed in a sugar-cane field for six months; the villagers knew about it. “That’s what I wanted to capture—how do people respond to such wild animals? Do they kill them, like they do in some places in the West?" The hour-long film has been doing the rounds of festivals like Germany’s Green Screen, Malaysia’s Kuala Lumpur Eco Film Festival and the US’ Wildlife Conservation Film Festival in New York, and will be screened later this year at CMS Vatavaran in New Delhi. Bose’s EarthCare Films has been making films on the environment for 25 years. His documentary Missing, on the absence of women at the policymaking levels on climate change, won him the best director award at the Italian environment film festival, CFF Caselle Film Festival, last month. “I hate propaganda—a talking down approach; films and issues on environment have suffered because of it. I take my films to schools, colleges, festivals, villages and rural areas," says Bose, who is bringing another film to the Woodpecker festival: 3 Characters In Search Of A Forest. The film follows the narratives of three environmentalists, Pradip Krishen, Ranjit Lal and Ravi Agarwal, who talk about Delhi’s lung, the 7,777-hectare Ridge—planted by the British after the 1857 rebellion—its bird species, its virtual takeover by the invasive vilayati kikar trees, and more. “We take these urban forests for granted," says Bose. “I want the audience to ask why we need forests. Why grow trees when there’s lack of housing in Delhi? That would be an interesting debate to have." “We have to talk about solid economic logic; if there’s no immediate gain for an individual, then he won’t be interested in such issues. I would say, well, I love your argument but I will continue to drive my car. Until it pinches you when you are stuck in a traffic jam for 2 hours, you won’t think about carpooling," he adds. The other environmental films include Ashish Rao’s Shrinking Shores, on Odisha, Ritu Bhardwaj’s film on Baranaja, sustainability through traditional, organic farming, Gurmeet Sapal’s film on an Odia tribal forest community’s switchover from biomass mud-stoves to cook-stoves, Saransh Sugandh’s film mapping migratory patterns forced by climate change, and Ahona Datta Gupta’s Vanguards Of Angul, featuring communities which once exploited the forest but then turned into protectors. Funding remains an issue. So does pulling audiences—especially Delhiites—to documentary films, says Yadav. Over the past two years, they have had around 2,000-3,000 viewers in all, says Yadav. They do get a lot of students and college-goers. “Each year, we invite student films from the Film and Television Institute of India, Tata Institute of Social Sciences, Jamia Millia Islamia, National Institute of Design, etc." Ishani K. Dutta, whose films on gender have won awards at the festival’s earlier editions, will present The Thin Red Ribbon, on the North-East, and Black Pepper, White Pepper, co-directed with Ashish Dutta, on art and culture. Divya Cowasji and Shilpi Gulati will be presenting Qissa-E-Parsi, on the Parsi story, while Bol Ke Lab Aazad Hain Terey, by Sania Hashmi and Mohan Kumawat, looks at the “CCTV" male gaze on Delhi streets. “Two films that we screened in our last two editions went on to win the National Film Awards this year. One on three tiger sisters that got the best editing award and was also screened on Discovery Channel. The other was from the first edition, Goonga Pehelwan," says Yadav. This year will see some new segments too: corporate social responsibility films, North-East cinema and features from Mexico and Nigeria—“not many know that Nollywood is as big as Bollywood, with 3,000-4,000 films being made each year," says Yadav. Bose believes it’s reasonable to expect their films to create awareness—to suggest that they can bring about meaningful change would be a tall claim. “Like a woodpecker, we would like to keep pecking at the issues through these films till a dent is made; it is our long-term vision and we plan to take the issues on an advocacy level," concludes Yadav.